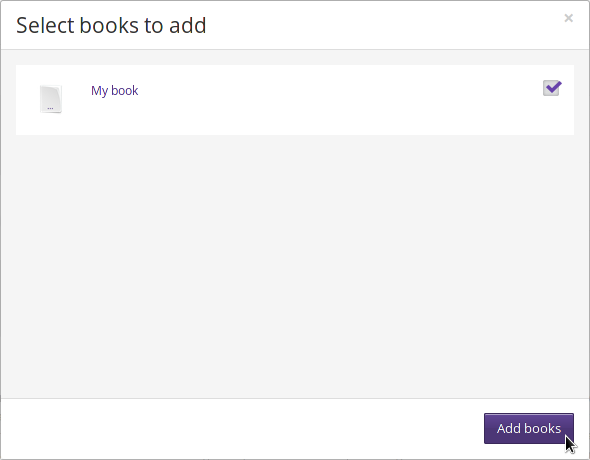 Once you have created a book or imported a book into Booktype, it will sit in the My Books list on your Dashboard. If you are a member of a group, you may want to add one of your books to the group's list of books as well. From My Dashboard, click on the group you want to add your book to in the My Groups list. On the Group page, in the Books section, click the ADD BOOK TO THE GROUP button. 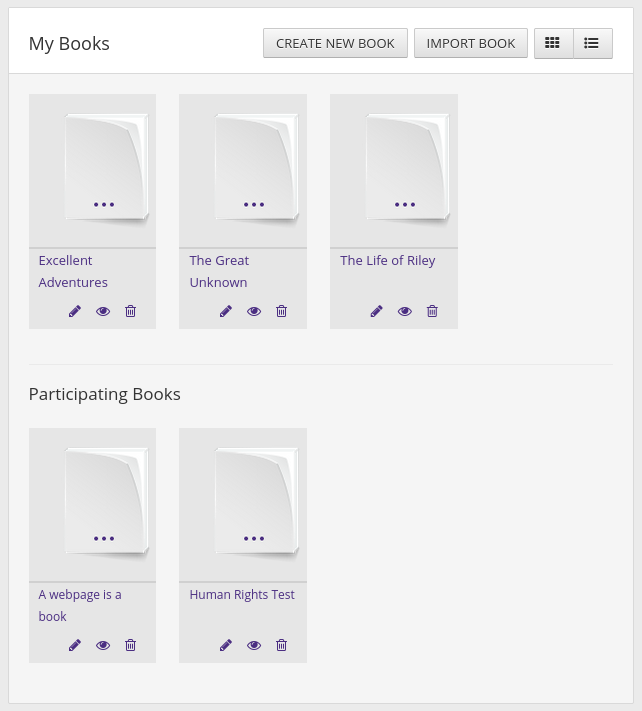 A Select books to add window will appear, with a list of the books you have created. Check the box on the row for the book you want to add to the Group, then click the Add books button in the lower right corner. Your book will be added to the list of books in the group.